This was the second month I had the opportunity to participate in the Vegan Food Swap, hosted by Cat at The Verdant Life. It has quickly become something to look forward to and I already can’t wait for next month. I highly recommend trying it out, no need to be a blogger. 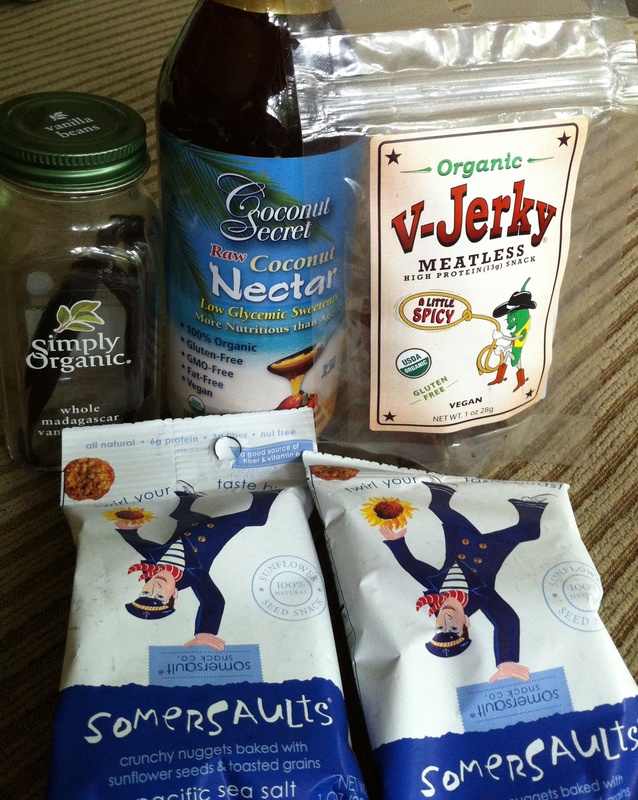 This month I received my package from Melissa at Loves to Eat Vegan! It was exciting because of all the items I had only tried one before, the organic vanilla beans, which were cool because I usually wouldn’t buy them. 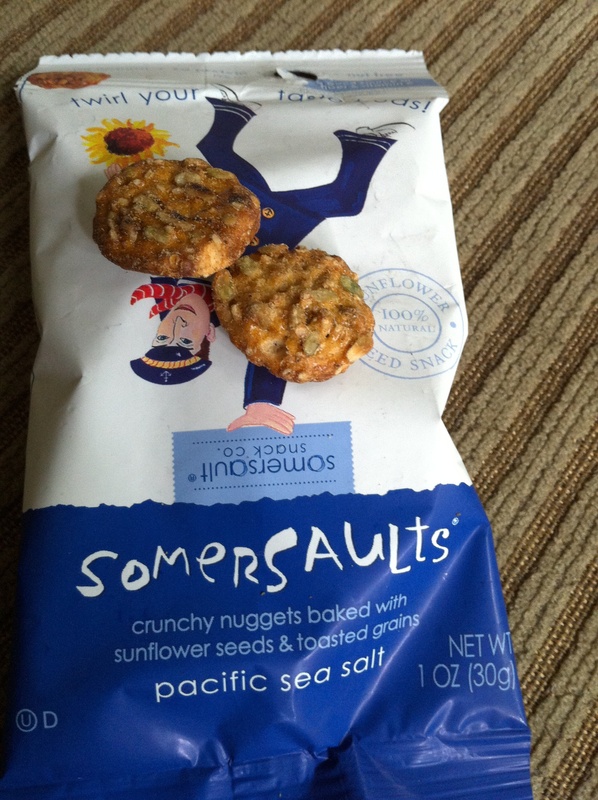 The sesame Somersaults are a great little cracker like treat with just a touch of sweetness. We ate the first bag immediately and saved the second for a later date. 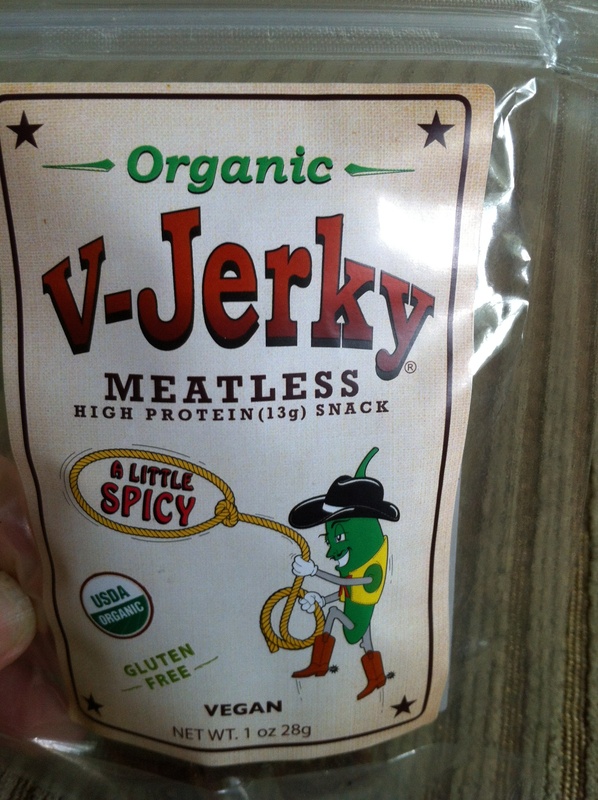 We also got a jerky we had never heard of that is a local product from Melissa’s area which makes it even more awesome! This went straight into our adventure back pack so we will try it out on our next outing. 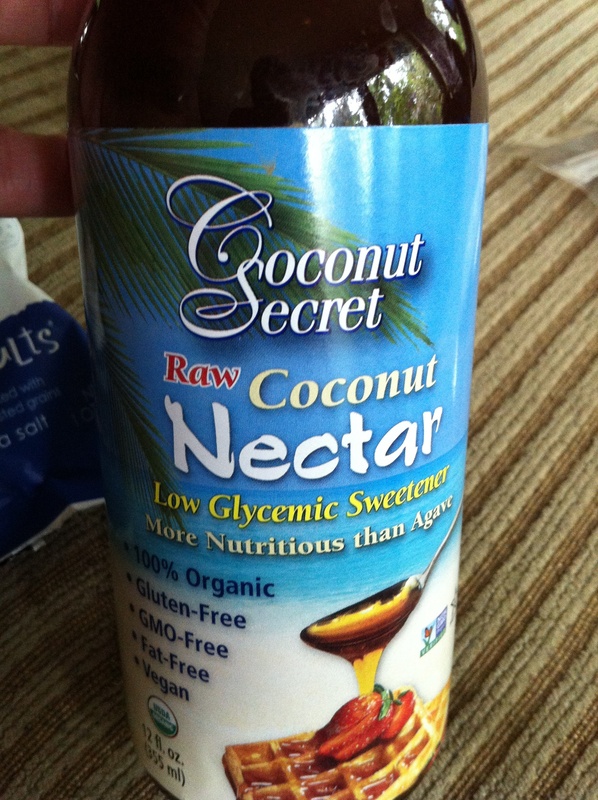 My favorite of all had to be the Coconut Nectar which I had never heard of. For someone who doesn’t like agave nectar this is a great find especially for my raw food recipes! In fact I have already tried it out with delicious results. Thanks again Melissa for the goods and Cat for hosting!